LEBAK - Happy smile emanated from face of one old mother in Baduy Kompol residents while repacking the package of basic foods that she had, just in morning after Subuh prayers in Baduy Kompol congregation, Leuwidamar village, Lebak, Banten on Friday (16/6). "Not bad, I have savings for Idul Fitri tomorrow," said this old mother in Sundanese language while carrying package of rice, instant noodles, cooking oil, sugar, syrup and canned milk which wrapped with her shawls. That package of basic foods is distributed by National Amil Zakat Agency (Baznas), which is part of the food packages assistance program to a number of isolated tribes in six provinces all over Indonesia. Number of isolated tribes is Anak Dalam tribe in Jambi, Baduy tribe in Banten, Bajo tribe in Central Sulawesi, Dayak tribe in North Kalimantan and Kokoda tribe in West Papua. The packages which free of charge are distributed in 34 villages which are the territories of this tribe. Director of Coordinating Distribution, Utilization, Plans, Development and Training Baznas, M Nasir Tajang said reason for the distribution of food packages in a number of isolated tribes because the area is remote and difficult access conditions and caused food supply often disrupted. "We see them in remote areas where access to food is limited," Nasir said on sidelines of basic food packages distribution to the Baduy Kompol tribe in Leuwidamar village on Friday (16/6). Limited access to these food needs is not a figment. The condition of damaged roads is getting worse due the heavy rain in this region floods. Baznas team had been trapped in a very thick muddy road when entering and leaving the village of Baduy Kompol tribe. In fact, the car used is a large wheeled car that is devoted to difficult terrain. 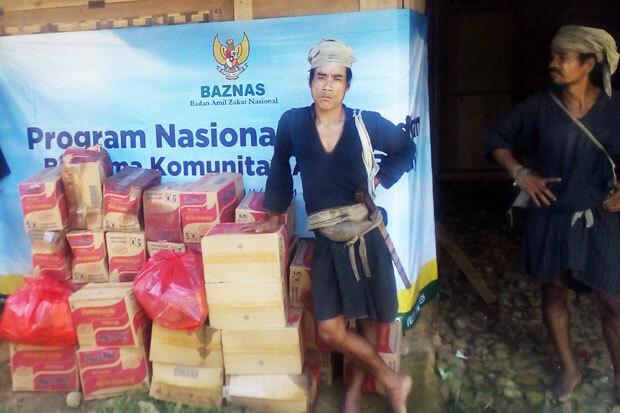 The number of food packages distributed to Baduy tribe itself amounted to 1,000 packages consisting of rice, cooking oil, instant noodles, salted fish, shrimp paste and various kitchen spices. Baznas also not only reached Baduy Luar tribe, but also touch up to Baduy Dalam tribe. Food packages are also distributed to tribes who still strong maintain they customs in Cikeusik and Cibeo, Kanekes village, Lebak, Banten. In Baduy Dalam tribe, the enthusiasm is seen from their swamps for miles and even to stay in order to get basic foods a package that the process of distribution by mediation of a figure Baduy Kompol tribe, Mohammad Kasja who is also a da'i muallaf. "We are rich if it can be useful for others," said Kasja when asked related steps that have been done to help the Baduy Dalam tribe. 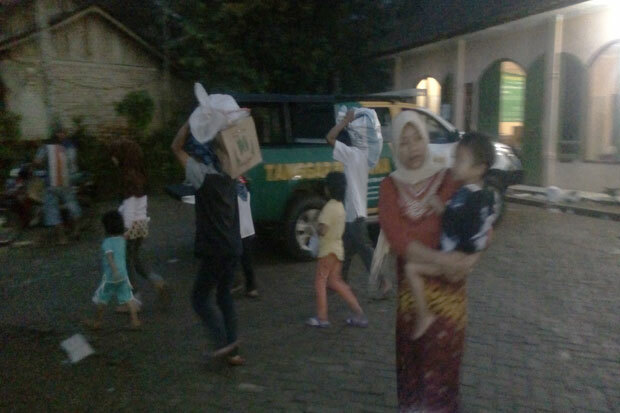 In addition to basic food packages, Baznas also held an iftar, taraweh, sahur together and free mass medicine treatment to Baduy Kompol tribe people.